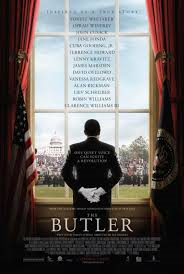 The Butler opens in Australian cinemas on the 31st October 2013 and is distributed by Hopscotch Films. Whilst The Butler may not be the flawless masterpiece that many were hoping it would be, there is still no denying that it is an enjoyable and entertaining slice of modern American history on the big screen. Lee Daniels latest is a fine feature which offers the viewer a great deal of information regarding the changing face of America's racial relations and the role of presidency in the White House. Although The Butler is extremely thorough in it's examination of the major events in the USA of the past 60 years, this attempt to cover so much results in the depth and emotion of the film suffering. Yet, the representation of the times and the acting being so impressive means that there is still so much to marvel at in The Butler. The butler is Cecil Gaines (Forest Whitaker), a man who's journey takes him from slavery in the cotton fields of Georgia to the White House in Washington, DC. He is directly effected by the changes that are slowly taking place for the coloured of America as his son, Louis (David Oyelowo) becomes active in trying to orchestrate these changes. As the years progress, Cecil serves and has his own special encounters with each of the American presidents. While he is told to make sure the presidents feel as though there is no one in the room when he is present, all the presidents are aware of Cecil's presence and value his contribution to the White House and their presidency. There is so much covered in The Butler which is both a blessing and a curse at the same time. It is a blessing because, as previously said, it is a thorough study into recent American history in regards to racial relations and the office of President. Lovers of American history will find this film to be an absolute treat for how much they will see being recreated. The period of the 1960-70's in the southern states is very well done, but still quite disturbing. There is also the perfect musical score to accompany each period in time represented. 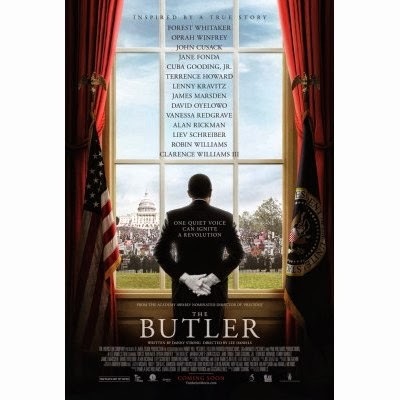 It is the portrayals of the different presidents that many Americans will be interested to see in The Butler and these portrayals are definitely intriguing. Unlike many other historical films which past US presidents have been featured in, these presidents are not the focal point of the film, but are the supporting players in Cecil's story. Dwight Eisenhower (Robin Williams), John F. Kennedy (James Marsden), Lyndon Johnson (Liev Schreiber), Richard Nixon (John Cusack) and Ronald Reagan (Alan Rickman) are the presidents featured in the film, and there is also a small scene with Martin Luther King (Nelsan Ellis). As well as these historical representations, there is also Cecil's personal family life which is featured greatly throughout the film. 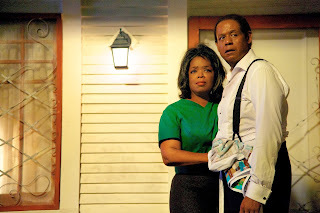 While all these events are taking place, Cecil also fights to keep his marriage to Gloria (Oprah Winfrey) alive and well and to be a present and effective father to Louis and Charlie (Elijah Kelley). As one may expect, this is a lot to fit into one film. At 132 minutes, The Butler is not a short film to begin with, but it is still not long enough to pack all of this in without it feeling rushed. So much is covered yet isn't covered in great detail. It feels like many details are just skimmed over and not gone into too much detail as there is just not enough time to. As a result, it does feel as though there is a lack of depth and emotion in the film. This isn't to say that it doesn't evoke emotion at all, because the film absolutely does. However, this emotion could have been pushed further and just as you begin to feel something, it is lost as you have to move onto the next thing. Even though the film is enjoyable, it does feel considerably rushed (particularly the last decade of Cecil's term), which is a strange thing to feel in a film which is over two hours long. 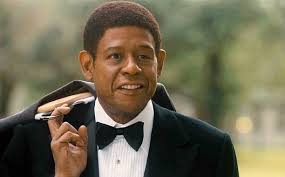 Forest Whitaker is wonderful as Cecil Gaines. Towards the beginning of the film he takes seizes the chance to make his character as likable as possible so that the audience can go on this journey with him and feel connected. Again, there are times which he could have taken his performance much further emotionally, but this isn't to say that his performance flat-lines in the emotional department. 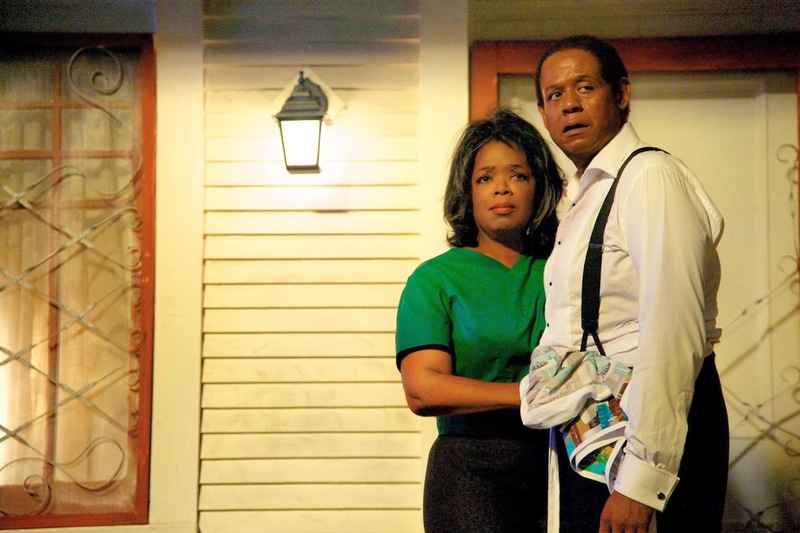 Oprah Winfrey makes an incredible return to the big screen as Gloria. Her character is a very real woman with a great deal of character. She has her flaws, but also her undying love for her family, She is superb, and you stop seeing the talk show host in her as soon as she opens her mouth for the first time. David Oyelowo is also very good and displays wonderful character development throughout the film as his character grows from a boy into a man. Yaya Alafia also does very well as Louis' love interest, Carol. Cuba Gooding Jr and Lenny Kravitz are great to watch on screen, especially Gooding who provides much of the comedy relief. Although each of the actors who play the presidents do well, none of them are really given enough of a part to be outstanding. However, Minka Kelly and Jane Fonda, who play Jacqueline Kennedy and Nancy Reagan, do particularly well as the first ladies. You can tell that The Butler intended to be far more than it actually is. Yet, it is still entertaining and a bit of fun to watch.